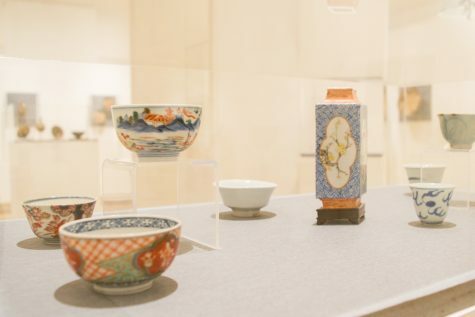 There is a sense of beauty and serenity to be found between the walls of the Sheehan Gallery where a new exhibition, “The Collected Life of Ikune Sawada,” has been installed. 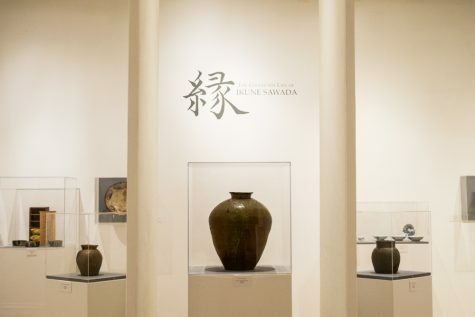 On display from Jan. 23 to April 7, the exhibition features ceramics that Sawada, a well-known painter and collector of ceramics, has collected over many years, as well as some of his own paintings. Photo by Caroline Ashford Arya. The Japanese character that appears as part of the title of the show, “en,” is an important theme that runs throughout Sawada’s collection. 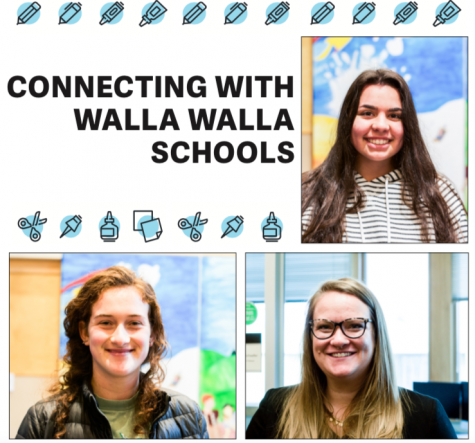 For Sawada, those connections have been to friends and to ceramics. Daniel Forbes, the director of the Sheehan Gallery, agreed. 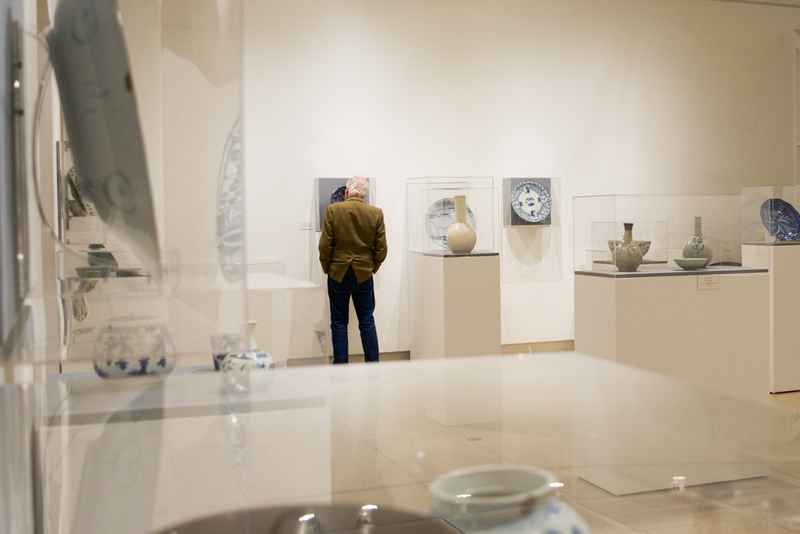 The ceramics featured in the gallery are indeed special. They were made centuries ago, most in East Asia. Forbes noted the importance of recognizing the skill that went into them. Most were handmade, created prior to mechanization. 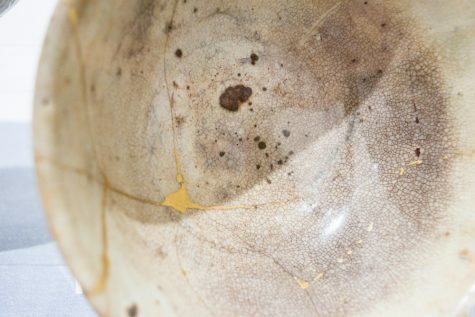 Moreover, acquiring some of the pieces took a decade of patience on Sawada’s part as he waited for dealers to become willing to part with a particular ceramic piece. Sawada has been a mentor and friend to Professor Steven Miller, who teaches ceramics at Walla Walla University. 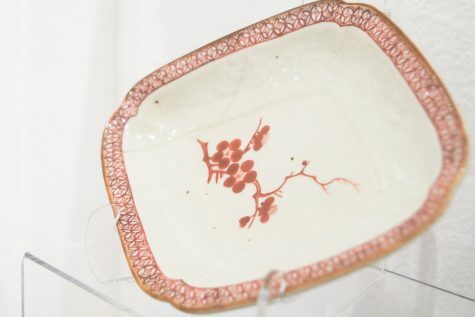 Sawada recounted being drawn to ceramics, especially after seeing a seventeenth century dish at a museum a couple of years after graduating from art university. The way the exhibition is set up is also important to note. 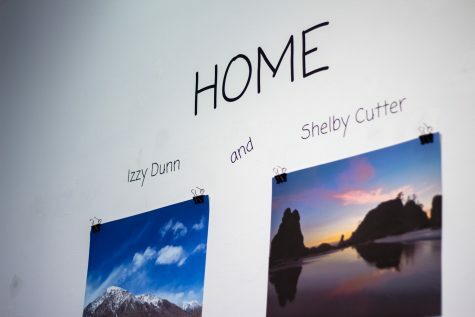 Whitman Professor Krista Gulbransen will be incorporating the exhibition in her museums class, especially focusing on how the space is used. Before coming to the United States from Japan, Sawada worked as an antique dealer. At that time, he wondered why his pieces sold so quickly. The life that is in his paintings, and in his ceramics collection, is evident. 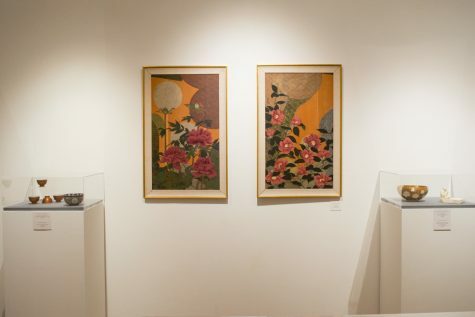 This “collected life” honors a dedicated artist and collector and is generously shared with all who visit the gallery.